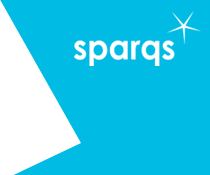 The sparqs national conference was held on Friday 29th May 2015 at the Edinburgh Conference Centre, Heriot-Watt University. We were delighted to have over 180 delegates attending and initial feedback shows that people found it a valuable day. You can read the 'Storify' of the event via Twitter. Thanks to everyone who attended and contributed to the wide range of workshops and presentations on the programme. Special thanks to all those who delivered keynotes and facilitated workshops and presentations. The conference was an excellent showcase for the breadth and quality of student engagement work that is taking place across colleges and universities in Scotland, the rest of the UK and internationally. The day began with a welcome from Eve Lewis, Director of sparqs, followed by a formal opening of the conference by Professor Alice Brown, Chair of the Scottish Funding Council. Our first keynote came from Professor Mary Stuart, Vice-Chancellor of the University of Lincoln and Dan Derricott, the University’s Student Engagement Manager. In it they outlined the journey of change that Lincoln has taken to develop a culture of partnership with students. It was clear that this was institution-wide change with a long-term strategic approach, focusing on the empowerment of staff to engage students effectively. It was an excellent start to the day's proceedings and the presentation from the day can be viewed. Our second keynote was on working in partnership with students to create successful transitions from college to university. It was led by Liz Gunn, the Strategic Lead for the Edinburgh and Lothian Regional Articulation Hub (ELRAH) together with input from Vonnie Sandlan, NUS Scotland President, David McKay and Gabriel Kemp, students at Heriot-Watt University and Edinburgh Napier University. Questions focused on the work required by both colleges and universities to ensure that the transition process took account of the specific needs of articulating students. A third keynote session was planned featuring Tam Baillie, Scotland's Commissioner for Children and Young People. Unfortunately the session had to be cancelled at short notice due to personal circumstances, therefore an interview with Tam was carried out later in the year, as part of our regular 'Talking Student Engagement' series. During the day there were two workshop sessions and two presentation sessions, the materials from which can be viewed on the workshops and presentations page. Also featured at the conference were a range of sector agency stalls and poster displays. As a fitting end to the day, the conference closed with the first sparqs Student Engagement Awards, which recognised and celebrated good practice across Scottish colleges and universities. The reception was hosted by Professor Norman Sharp OBE, Chair of sparqs Steering Committee. Congratulations to all those who were shortlisted and well done if you picked up an award! See the Awards pages for details and photos of all the categories and award winners. For international delegates we also offered an addtional day of activity on Thursday 28th May 2015. You can view the international programme, the presentations from the day and the 'Storify' on the International Delegates' Day page.